The Northern Virginia real estate market continues to remain stable. 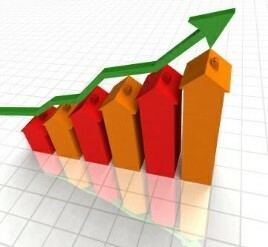 Recent numbers show that houses are selling, prices are raising slightly, and inventory levels are increasing slightly. All of these numbers are at healthy levels in my opinion. This news is making now a good time to both sell and buy a property. One thing that has been a wild card is interest rates. Increased rates can hamper the steadiness of our market and right now they are near 2015 highs. Over the past 3 weeks, there have only been two days where rates managed to improve even a little bit. Four out of the past six days have seen uncommonly big moves higher. These are the sorts of moves that we’d normally only see 2-3 times per month, so to see 4 of them in just over a week is alarming. It is definitely an area we need to pay attention to moving forward. Going forward, I see more of the same out of our housing market. There will be a good home selection for buyers to choose from, reasonable prices and rates remaining in the 4% range. As good homes come on the market that are priced right, they are selling because there are buyers in the market looking to own. Houses that have been on the market because the owners “pushed” prices, didn’t have them in the right condition or just had bad timing (putting them on the market at the end of October) will continue to sit. Buyers want fresh listings, not old, tired listings that have been lingering on the market. Therefore, it remains critical to have your house staged, in the right condition and priced right to get it sold if you are looking to put your house on the market. If you have any questions or concerns about your situation, feel free to call me today 703-652-5777 . I am happy to discuss how we can help you. Now that the holiday season has come and gone, it is time to get geared up for 2015 and make it your best year ever. In order to achieve all you desire, you will have to make sacrifices, develop more willpower, practice more discipline, have more consistency and continue to grow personally and professionally. The sacrifices you will have to make will come in various areas. One is time. Time with family and friends will be limited. As you will be busier than you have been before, are you ready to make this sacrifice and are they? Another area is investing in yourself and your business. Do you have the money and resources available to you and are you willing to allocate them appropriately this year to realize the success you are planning for in 2015. Lastly, committing yourself to working more efficiently, effectively and focused is a huge sacrifice – are you ready to make the sacrifice for your success? Developing willpower – the ability to say no to unproductive, time-wasting activities is huge. You will have to say no to coffees, lunches, happy hours, and ball games with family and friends to keep you focused and on point. Do you have what it takes to develop this necessary ingredient to high levels of achievement? Get willpower do to the hard things and get successful. Practicing and working on discipline is critical to getting the results you want for yourself. Getting up earlier, staying at the office a little later, developing a morning routine that gets you on track the rest of the day, sticking with a structured schedule – daily – and pushing yourself outside your comfort zone are the pieces of the puzzle that will get you further, faster. Be disciplined in your activities, work smarter not harder and achieve great things in 2015. 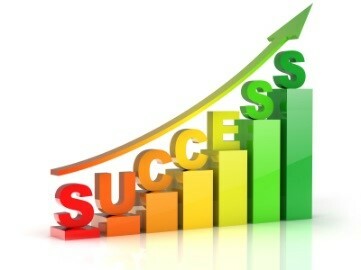 Accomplishing tasks, making things happen and doing them regularly, with consistency is a key ingredient to success. The important thing to keep in mind here is to not let a few disappointments slow you down. Consistently set a schedule – with top priorities the night before you leave the office, consistently call your database, consistently attend networking events, consistently grow your database, consistently review and adjust what your plan is according to how the market fluctuates. Growing personally and professionally is another success factor. Start an exercise program, eat healthier, drink less alcohol and sodas, stop smoking, and take time to think. Grow professionally by attending trainings, get involved in mastermind groups, obtain a designation, get a mentor or coach and meet with an “expert” in the business to get their perspective on what is happening and what they are doing to be successful. Here are a few more tips to consider – stay positive, stay focused, talk to yourself and stop listening to yourself, read more and watch less TV, stop complaining, hang around people more successful than you, volunteer your time, learn something new every day and take action. Don’t just survive, it’s time to thrive in 2-0-1-5! Get it? Got it? Good! The beginning of the year always brings about hope, excitement and anticipation of good things ahead and 2015 is no different. We believe that this year will be a much better year for real estate in Northern Virginia. There are many reasons for this optimism – great rates, new financing programs, lower inventory levels, positive consumer confidence and pent-up demand. Let’s review each of these areas. Great rates. Although there has been a very slight uptick in rates recently, rates remain very low historically. Additionally, the interest rates will remain low through 2015 perhaps not reaching 5% until later in the year. New financing programs. Freddie Mac and Fannie Mae have both begun to accept 3% down payments for first time home buyers. There will be guidelines such as a minimum 620 credit score, borrowers will have to take an educational class, and they couldn’t have owned a home in the last 3 years to qualify. With 45% of renters delaying a home purchase because of available funds for a down payment, this should increase the number of home buyers in 2015. Lower inventory levels. In September of this year, we reached a 7 year high in inventory in Northern Virginia with 9,163 houses for sale. Since that time, the number of available homes has declined each week. We now have just 5,944 homes for sale which resulted in a brisk sales month for December. Some of these properties will come back on the market this upcoming spring, but many sold. As long as we have a moderate winter weather-wise, inventory will slowly enter the market and we won’t have the accelerated inventory levels we experienced in May of 2014 due to the weather. Positive consumer confidence. Many more people today believe that the economy, their personal situation and the real estate market are all going to be better in the future. These optimistic expectations are leading indicators to people purchasing in the upcoming months – including housing. Additionally, Freddie Mac and builders also have high expectations of the housing market. These expectations will have a positive impact on housing in 2015. Pent up demand. As previously mentioned, December experienced a brisk sales month here locally. We continue to receive calls, emails and internet requests on our homes for sale. This shows us that there are many people ready to buy the right home that suits their personal lifestyle needs. Also, many people who went through distressed sales just a few years ago are able to purchase again. Job growth coupled with population growth locally will also increase demand for housing. One other area to see home ownership grow in 2015 and beyond is the Millennial homebuyers. They believe in home ownership as a wealth building opportunity and an overwhelming majority of them will be buying in the next 5 years. Lastly, rising rental rates will push more people into ownership as a cost savings measure. All of these positive influences in our region will strengthen our housing market in 2015 and beyond. As we see our local economy continuing to rebound after 4 years of stagnant growth, this will have a positive impact on housing. To see what this means to you, please feel free to contact me. Cheers in the New Year! Well, we have good news to report on the market – We have reached a point of stability. We are now officially into the winter market as we are starting to see things wind down. Our listing inventory is currently at 8,512 houses for sale which is actually down from our 7 year high last month. We have a 3.7 month supply of homes which is about the same level as last month. Obviously, we would like to see more sales as would our sellers but we are maintaining our sales levels, not decreasing which is more good news. Additional positive news is interest rates remain low and prices are stable so the opportunity for buyers to lock in reasonable monthly payments is available. From the buyer’s perspective, now is a great time to buy. I had a conversation with Josh Burruss of MVB Mortgage about payments with rates where they are today versus a situation where they to go up .5% – here is the result of our discussion. Currently the rate on a 30 year fixed conforming mortgage is approximately 4.00% (APR 4.058%) based on a sales price of $500,000 with a down payment of 20%. If the interest rate were to rise just 0.5% (4.50% – APR of 4.562%) from current levels, the principal and interest payments would increase by approximately $117/mo. The difference in the overall finance charge in these two interest rates over the life of the loan is approximately $42,241.94. As you can see, just a half percent in interest rate can mean a huge difference in overall cost over the life of a mortgage. If you want to discuss this with him in greater detail, feel free to call him at 703-727-4239. Moving forward, we need to pay attention to the end of QE3 and the government’s subsequent completion of bond buying. We are expecting rates to rise into 2015 as a result of this policy. Right now we have great rates so take advantage while you can because the Fed still thinks it will be a “considerable time” before it begins to raise interest rates. The Zero Interest Rate Policy remains in full force, as it has been since it began at the end of 2008. This policy will change because we cannot sustain this type of monetary policy as it just continues to add to our National debt. Plus, we need a market-driven interest rate environment and a more predictable monetary policy to help foster long term economic growth. This will definitely impact our housing recovery moving forward. With No True Spring-Selling Market, What Will It Take To Sell Your Home in 2014? Wow, it is hard to believe that we are almost half way through 2014 and summer is just about to get into full swing. It is going to be interesting to see how we get through the real estate market this summer as we had no true spring selling season. At our June Quarterly Meeting, I announced our numbers were up so far this year but we were expecting to have helped more families buy and sell homes up to this point. Of course the weather got in the way early on and now that school is about to get out, people will be taking their vacations. So it is important for sellers to be prepared for the upcoming situation. Our inventory levels have continued to escalate since the warm weather broke in May. It has resulted in us having more homes for sale than any time since October on 2011. As we enter the summertime, the season generally slows down which will increase inventory as well, so sellers need to do all they can to attract the buyers that are out looking for a new home. Sellers need to position their properties accordingly, as there is currently a 2 month supply of houses on the market. The inside and the outside of the house needs to shine and show like a model home, as well as be priced to sell! We are not able to “push” prices like we did earlier this year. The sellers who overprice their properties, even just above what we recommend, sit on the market. Additionally, we are having appraisal issues with properties in areas where there are no sales to support the higher values – even in multiple contract situations in arm’s length transactions. The underwriting guidelines have made it tougher to get above market values approved, so please price your house accordingly. If you have any questions, concerns, or would like to discuss your specific situation or the market, feel free to call me today (703) 652-5777. Inventory of houses for sale in Northern Virginia increased again this week. A hyper-local real estate market can be a challenge for buyers, sellers, and their REALTOR. Watch and listen as Scott MacDonald of RE/MAX Gateway offers the insight and explains strategies necessary for success in the Northern Virginia real estate market. Northern Virginia Homes For Sale – The Inventory Is Climbing! The inventory of homes for sale in Northern Virginia is growing quickly. You need to know how to set yourself up for success in this Spring real estate market! Are you buying or selling? Contact Scott MacDonald (703) 652-5777 or email scottmacdonald@remax.net for information and strategies to put yourself ahead in this housing market. 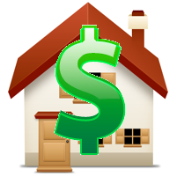 Thinking of buying or selling a home in Northern Virginia? Scott MacDonald of RE/MAX Gateway offers valuable information to home sellers, buyers, and REALTORS and what is driving the real estate housing market in his video blog Scott’s Market Minute. If you are thinking of selling in 2014, now is the time to get the answers to your questions. Contact Scott MacDonald (703) 652-5777 There’s still time to get your home listed for sale in this early Spring market!